The feet are the very foundation of our skeleton and as such, play a critical role in our posture and movement habits. With 26 bones in each foot and multiple joint surfaces, a healthy, balanced foot has the capacity for an enormous amount of mobility and adaptability to the surfaces it walks upon. Unfortunately due to restrictive footwear and the monotony of much of the surfaces we now walk on (think carpets, tarmac, flat surfaces) the feet are not getting exposed to the kinds of challenging terrain and environments that keep them supple, strong and healthy. Our feet are becoming increasingly stiff. The aches of our feet which are critical for healthy biomechanics in the knees, hips and spine begin to collapse, and in so doing we suffer from a sort of internal collapse (the ability to connect to our pelvic floor and core are very much linked to the support of our foot arches). 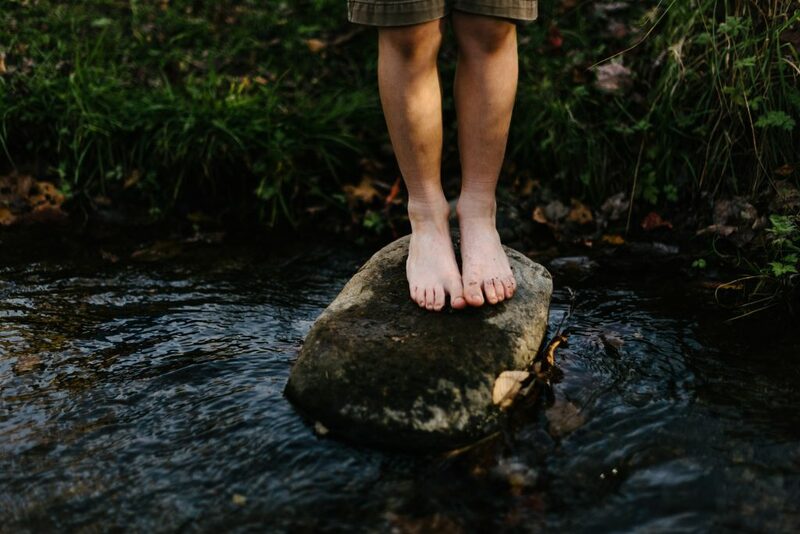 Our toes shrivel, curl and deform and as the feet lose their mobility and strength we become vulnerable to a whole host of foot disorders such as plantarfasciitis, sprained ankles, bunions, shin splints and neuromas. Dysfunctions in the biomechanics of the feet also have a tendency to ripple upwards causing instability and poor tracking in the knees, pain and dysfunction in the hips and even back pain. Indeed many therapists, including myself, look at the feet as a key contributory factor in lower back pain. This makes sense when you think of the following analogy. In a building, if the foundations are unstable or weak, this will lead to subsidence and ultimately structural failure or collapse as you go higher up the levels of the building. Our skeletons are much the same, lack of mobility and stability in the feet can, and most likely will, end up causing problems for the joints that stack above them. When I work with a client for the first time I spend quite a bit of time educating them about the important role of the feet and how they should be moving. The following exercises are just some of the ones I regularly turn to when working to bring the feet back to balance. I have a love-hate relationship with this exercise but it is one of my favourites for both waking up the feet and helping to work through tension and tightness in the sole of the foot. Thanks to our increased understanding about the role of fascia/connective tissue and its impact on our mobility we now know that rolling out the fascia of our feet has a knock-on positive benefit on the flexibility and mobility of the whole back of the body. Try this: From standing, come into a forward bend position reaching your fingers towards your toes. Take a few breaths and just notice how you feel, the level of intensity of stretch/sensations and where the tightness is located. Now take a spiky ball and roll it firmly under the sole of your foot for 1 minute. Put enough pressure through the foot to be uncomfortable but stop before the point you start to cry! You can make long scrubbing motions, little circles or even just hold the ball still as you apply pressure through a particularly tender spot.Repeat on the other foot. Now come into your forward bend position again, reaching down to touch your toes. Notice the difference! How does the body feel now? What is the level of intensity? Most people find the second forward bend a lot easier, with more range of motion and less overall tension particularly in the spine and hamstrings. The moral of the story is this – if you have a tight lower back or hamstrings, roll out your feet! This is also a particularly useful exercise for clients working with plantarfasciitis, heel pain and neuromas. Aim to do this at lease once a day or even keep these balls under your desk for you to roll your feet out whilst you work! I encourage my clients to get into the habit of massaging their feet or better yet getting a loving friend, partner, family member to step in. If you are prone to foot cramps you could do this with magnesium oil, which is thought to help reduce cramping and soreness in the feet. Start by using your thumbs to rub firmly through the soles of the feet. Work into the heels, balls of the feet and around the toes. Next thread each finger between each toe. Do the best you can – if you can’t get each finger between each toe that’s fine – just do what you can, it does get easier with time. Now stretch the fingers out to spread the toes out. Repeat this a few times. You can also point and flex the foot and roll it around in circles, keeping the fingers threaded between the toes. Continue for 1 minute and then repeat on the second side. Sometimes jokingly called Broken Toe Pose! Not an easy posture but so valuable and worth persevering with particularly if you do a lot of sport or running. Again, like many of these exercises it gets easier with time. Play with your edge but don’t push into acute pain. 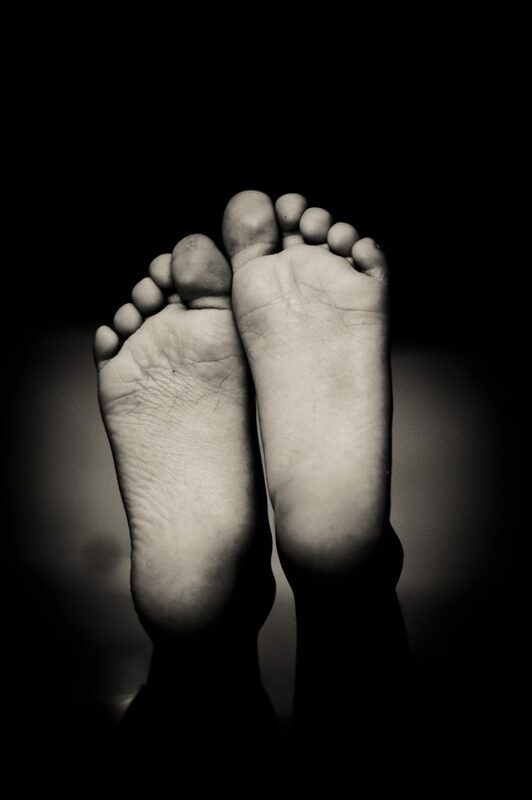 If you have bunions be mindful to keep the weight even across the ball of the foot and try to get the toes pointing straight forwards as much as possible rather than out to the sides. Come into a squat position with your toes tucked under and your knees parallel and hip-width apart. Make sure that all your toes are tucked under you – you may need to work to get the pinky toes under! 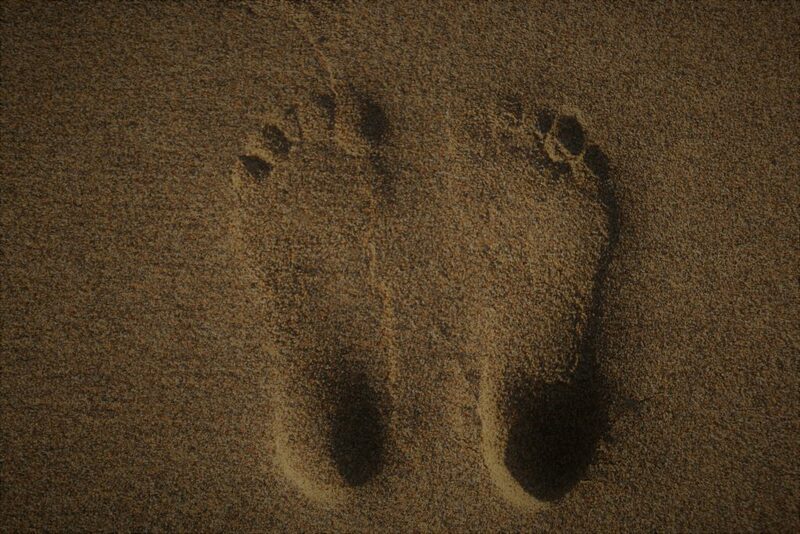 Make sure that your feels are not sickling outwards but instead gently draw the heels towards each other so that all 10 toes are pointing straight forwards and the heels are right behind the balls of the feet. If your knees are sensitive you may need to lean into the hands, lifting the hips slightly or try rolling up a blanket/towel and tucking it behind your knees before bringing your hips back towards your heels. You can rest your hands on your thighs (more intense), bring blocks under your hands or bring your hands to the floor either side of your knees (less intense) to help take some of the weight off the feet. Start by coming into a kneeling position with the toes pointing straight back and the tops of the feet on the floor. This pose may be enough if you’re already feeling a stretch in the tops of the feet or front of thighs. Again, make sure that your heels are not sickling outwards but instead gently draw the heels towards each other so that all 10 toes are pointing straight back and the heels are right behind the balls of the feet. Putting a tight yoga strap around the ankles can also help with this. If your knees are sensitive you may need to lean into the hands, lifting the hips slightly or try rolling up a blanket/towel and tucking it behind your knees before bringing your hips back towards your heels. Skip this pose if the knees are acutely painful. The next stage is to explore lifting either one or both knees away from the ground. This will increase the stretch through the top of the foot and shinbone. Again make sure heels don’t roll outwards, keep them hugging in. Hold for 30 seconds and build up to 2 minutes hold. Take a yoga mat and roll it up to about 2-3” thickness in diameter. Step the balls of the feet onto the roll with the heels on the floor. You can bring a chair or 2 yoga blocks on the floor in front of you for support. Hinging from your hips and keeping your spine long (avoid hunching over), bend your knees slightly and start to forward bend bringing your hands to the chair, block or floor. Shift your weight so that it’s balanced right over the front of the heels. Without rounding your back, locking out the knees or shifting your weight back, gently try to press the thighs back. You should feel a deep release around the ankles, calves and up into the hamstrings. Hold for 30 seconds and build up to 2 minutes hold. Start with your feet a little wider than your hips with the heels on the mat roll and the toes on the floor. You can keep the feet parallel or allow the feet to turn out slightly – check that the kneecaps are pointing in the same direction as your toes. Keeping your spine long and lower abdominals lightly engaged, start to bend your knees and lower your hips towards a squat. If the heels lift, put more height under your heels. Allow the heels to sink down and feel the pelvis hang away from the spine. You can bring your elbows inside of your knees and use the arms to gently press the thighs out, knees over toes. If this pose is relatively easy for you, you can do this without any mat roll under the heels. Hold for 30 seconds and build up to 2 minutes hold. These last few exercises are designed to work on the stability and strength of the foot, ankles and lower legs. Be prepared for a lot of wobbling! In fact the wobbles and constant micro-adjustments are all part and parcel of the body building strength and you will find these decrease as you get more stable. Standing on the block whilst balancing adds another challenge dynamic into the mix – as you get stronger you can make the surface you stand on less stable for example by layering a soft spongy blanket on top of the block. Closing the eyes also ups the challenge level quite significantly! This is a useful exercise to see how you distribute your body weight through your feet and to make some micro-adjustments to be in greater balance. Come to stand with your feet hip-width apart. Stand with your feet parallel with the 2nd/3rd toes pointing straight ahead, or if more comfortable for the knees slightly turned out with the big-toes pointing straight forward. Explore shifting your weight so that you are balanced between left and right foot. Bring the weight to the center of each foot, with the weight right in front of each heel. Now lift all 10 toes off the floor (keeping the balls of the feet on the ground). Notice how this action lifts the inner and outer arches of the feet. Can you keep this lift of the arches as you gently relax the toes down? Try to bring an even sense of weight between the big toe, little toe and center of each heel – like a tripod of support. Notice how these little micro-adjustments change the feeling throughout the rest of the body. Now keeping the adjustments you just made in mountain pose intact, see if you can lift just your big toes off the floor, whilst keeping the other toes on the ground. Can you do this without locking your knees, or rolling to the outer edges of the feet? Try this a few times! It will potentially be very frustrating/difficult to do when you start but persevere – we are strengthening the neuro-muscular pathways of the feet. Repeat this action 10 times. The same as above but this time keep the big toes down and try to lift the other four toes off the ground. See again if you can do this without rolling to the inner edges of the feet or locking the knees. Repeat this action 10 times. Even if the toes don’t cooperate there is still value in just thinking about doing the movement – eventually the brain and the body will cooperate! The key with this is to lift the heel straight up so that the weight is spread evenly between the balls of the feet. Avoid rolling the ankles outwards or inwards as you lift and lower. Squeeze and engage the glutes and legs as you lift and lower – you should feel this work in the glutes and backs of the legs. Holding onto the back of a chair. Place your feet hip-width apart and parallel to each other. Inhale to lift your heels up, coming onto your tip-toes. Exhale to lower the heels. Make sure your body stays upright – try to avoid leaning forwards or back as you lift and lower. Repeat this action 10 times. Take a rest and then repeat 10 more times. This exercise is designed to strengthen the muscles of the outer hips and improve the biomechanics between the feet, ankles, knees and hips. Stand your right foot on the block (or book) and hover the left leg up so that the hip bones are now level. The standing right knee should be unlocked and the outer hips firming in. You will start to feel the outer hip of the standing leg working. Make sure the standing right foot doesn’t turn out but points straight ahead. With control and without moving the hips or upper body, start to gently circle the hovering left leg and foot, forwards, out to the side and backwards as if you were tracing a circle with your big toe on the floor. Keep the outer hips firm and still and watch that the standing knee continues to track forwards over the toes – don’t let it roll in! Do not let the upper body lean forwards and backwards – isolate the movement just into the leg. Do this 5 times in one direction and then 5 times in the other direction. Switch sides. Standing tall place your left foot onto the inner ankle, calf or thigh of your right leg. Make sure the foot is placed above or below the knee rather than directly on the side of the knee. Keep the hips and toes of your standing foot pointing forwards, as you widen the right thigh to the right by squeezing the buttock muscles gently. Find one point of focus to gaze at for greater balance and stability. Firm the muscles of your legs and outer hips in, lift tall through the sides of the waist and extend the crown of the head to the sky. Hands can rest on your hips, in prayer at the chest or reach them skywards. To make this pose more challenging for the muscles of the feet, ankles and hips, you can stand on a soft surface such as a rolled blanket or spongy yoga block. To test your balance and proprioception still further you could explore closing the eyes! Hold for 5 breaths and then switch sides. One of the most common musculo-skeletal complaints that my clients come to yoga for is relief of their lower back pain. The reasons for lower back pain can be wide and varied, and this is one instance in which one-to-one private yoga therapy work can be invaluable. No two back pain clients are the same and I find that students can react very differently to the same set of poses thus necessitating a very personalised, exploratory and slow approach to the practice. That said, there are some poses and exercises which I have found generally to be beneficial for clients presenting with lower back pain or tension. 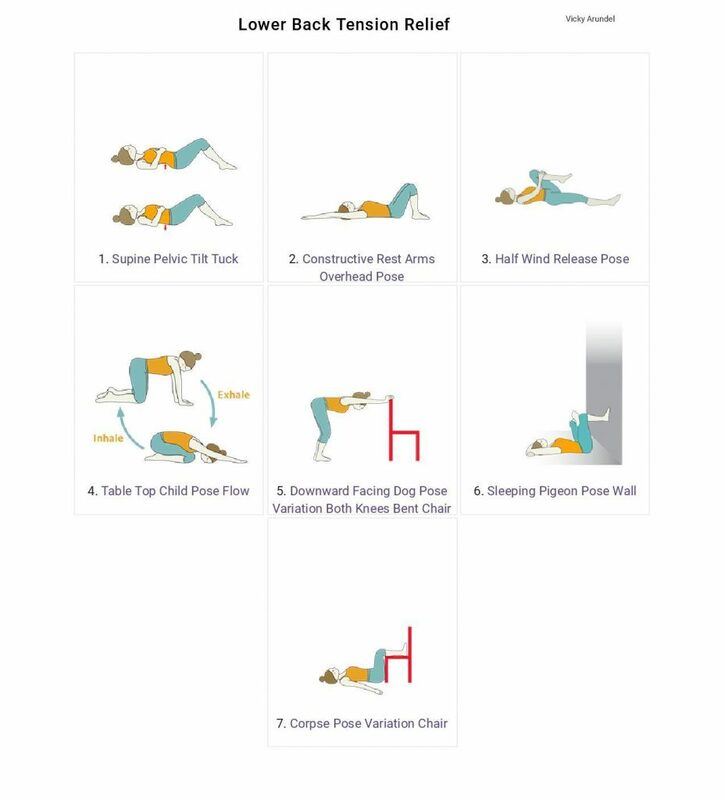 The overarching principle of all of these exercises is to create a sense of spaciousness and very gentle traction in the lower back, helping to relieve compression between the vertebral discs and reduce clenching or spasm of the muscles that attach to the lower back, ribcage and pelvis. As always its best to get yourself checked out and diagnosed by a health professional so that you know what you are dealing with. Most of my clients come to me once they’ve gone through that stage, and this is the type of sequence that I might give to a client working with a low-grade chronic ache in the lower back, rather than any acute severe or sharp pain. 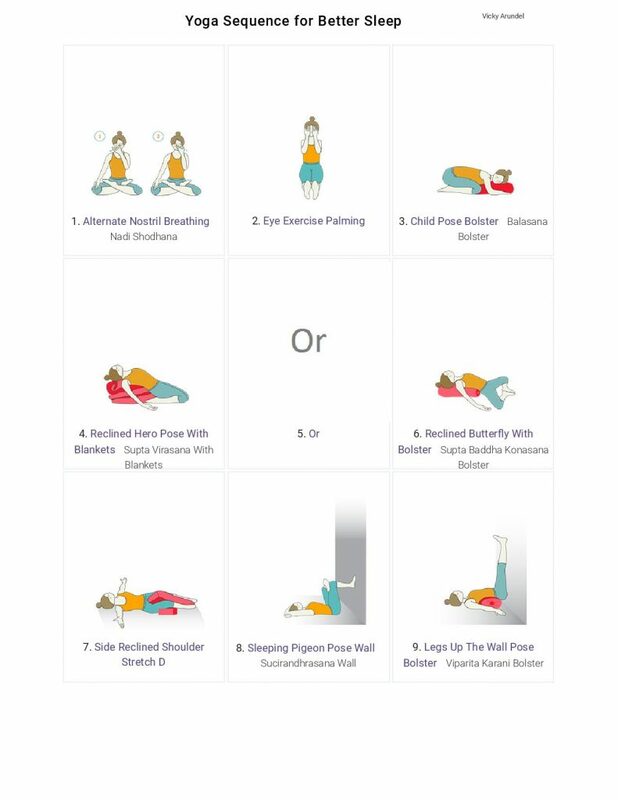 It’s worth reiterating that none of these exercises or poses should be acutely painful and if they are, it’s best to come out. I like to sometimes give my clients the concept of an intensity scale to help them make sense of and interpret the sensations that they’re experiencing as they practise. If you think of a sensation intensity scale of 1-10, with 1 being extremely mild and 10 being distractingly intense, then we ultimately want to be working between a level 4-7. Any less intense and we may not be getting the fullest benefit of the movement, any more intense and it tends to cause the body to tense up and tighten, having the opposite desired affect. Do have a read through of the instructions before having a go at the following sequence. There are some important alignment points to take into consideration to protect and support the lower back throughout each pose. As always keen to hear feedback and feel free to ask questions in the comment section below! Thanks to Tummee.com for the sequence images! Why it helps: A simple movement-based exercise that helps to bring greater awareness and sensitivity to the lower back. This is a nice subtle movement to massage the muscles of the lower back, sacral area, pelvis and buttocks. Done with sensitivity this can help to give more understanding of where may be tight or tender and to bring a gentle sense of release and relief to any gripping or tightness in those places. Note that all of these movements are quite subtle and the hips remain on the floor throughout. How to do: Start on your back in constructive rest pose with the knees bent and feet flat on the floor. Lie on your back with your knees bent, feet flat on the floor about hip-width apart, knees pointing straight up. Put a blanket under your head so your forehead and chin feel level and your neck is comfortable. Inhale and allow the spine to gently arch away from the floor, creating space between your lower back and the floor. As you exhale press the lower back into the floor and feel the tailbone tuck under as the lower belly and glutes firm. Note that the hips stay on the floor the whole time. Repeat this arching and lengthening movement 10 times in sync with the breath. Now imagine you’re tracing a circle with your hips on the floor. Go 5 times circling in one direction and 5 times circling in the other direction. Now start to trace a figure of 8 pattern with your hips on the floor. 5 times in each direction. Why it helps: This pose can create a mild sense of traction or lengthening in the spine, helping to decompress the vertebral discs, whilst promoting a subtle sense of core support on the exhale. Lovely to do if you’ve been stuck in front of a computer for too long! Start on your back in constructive rest pose with the knees bent and feet flat on the floor. Sense that your spine is in a neutral position – there is a natural gentle inward curve in the lower back away from the floor, an outward curve of the upper back into the floor, and a gentle curve of the neck away from the floor. Support the head with a blanket or cushion if it feels like the head is tilted back – the forehead and chin should be level. Start with your arms resting by your sides. Inhale to slowly reach your arms up and overhead towards the floor behind your head. As you take the arms up try to keep the lower back ribs on the floor and avoid overarching the lower back. Instead feel for lengthening the spine as the arms reach overhead. Exhale and gently drawing the lower abdominal muscles back towards the spine lower the arms back down by your sides. Try to keep the movement smooth, slow and controlled, moving with the breath and avoiding rushing. Repeat this movement 5 times. Why it helps: This can be a useful pose for lengthening the back of the hip and same side of the lower back as the bent knee, reducing tight or cramping muscles. Be mindful to keep the lower back in neutral. Gently hug the right knee in towards the chest, holding it with both hands either on the shin or behind the knee. You can keep the left knee bent, foot on the floor or for a stronger release straighten the left leg out along the floor. Try to maintain a neutral lower spine here (it should feel like you could still slide a pencil behind the small of your lower back) and allow both buttocks to rest evenly on the floor so that the hips and pelvis are level and balanced. Relax the upper back and shoulders. Place a blanket or cushion behind the head if needed to keep the neck neutral. Take 5 slow deep breath into the right side of the lower back and hip. Switch legs. Why it helps: This soothing movement is a nice way to combine breath with a subtle opening up of the lower back. This can help to reduce spasticity in the muscles of the lower back and hips whilst taking pressure off the discs of the lower back. Start in table top position. Bring your hands under the shoulders and knees under the hips. Inhale keeping the spine in neutral. As you exhale gently draw the lower abdominal muscles in towards the spine and pressing through the hands and arms draw the hips back towards the heels. Allow the elbows to soften and bend bringing the head to or towards the floor. Inhale to return back to table top position. Repeat this movement forwards and backwards 5-8 times with the breath. On the last rep, if comfortable hold childs pose with the hips towards the heels, elbows bent and head resting on the mat for 3-5 breaths. Why it helps: Another great posture to mildly traction the lower back. It is also gives relief and length to tight hamstrings, calves, upper back and shoulders all of which can contribute to lower back tension. Hold onto to a ledge, table or back of chair and place your hands shoulder-width apart. Walk your feet back, bend your knees and align your heels under your hips as you stick your hips backwards. Work on maximising the length in your spine. Check that your knees are also in line with your toes. Gently lower the chest down so that eventually the spine is parallel to the floor (or just above) and the ears and upper arms line up with each other. Relax and soften the upper shoulders away from the ears. Make sure your breath remains fluid and easy without strain or tension. Stay for 5 breaths then draw the belly back to the spine to support the back as you lift the chest and with a straight spine walk the feet in coming out of the pose. Repeat one more time. *Optional variation: Straighten one leg as the other knee bends. Keep the weight even between both feet. You should feel a good stretch on the outer hip/thigh of the straight leg. Why it helps: This is a great pose for releasing tension and tightness in the back and sides of the hips and pelvis which can be a contributing factor to lower back discomfort. Be sure to keep the lower back in neutral and fully supported, avoid rounding the lower back. Start by carefully taking your legs up the wall – your hips will be about 1-2 feet away from the wall and you may want to put a folded blanket or towel under your hips and under your head for more comfort. It is important that the lower back stays neutral and on the ground during this pose so additional support with a blanket under the hips may be needed. Bring your right ankle above your left knee and slowly slide your left foot down the wall until you feel a good stretch through the outer right hip. Keep your hips on the floor (or blanket) and keep the natural inward curve of the lower back intact. Try to make sure that both hips and buttocks are evenly resting on the floor or blankets. Rest your arms wherever is comfortable. To make the stretch less intense have your hips further away from the wall, for more intensity scoot your hips closer to the wall. Breathe deeply and steadily into your lower belly for 1-3 minutes. Gently explore extending and lengthening the exhale. Why it helps: This variation of Corpse pose is often much more comfortable than the traditional variation lying on the floor with the legs straight. Using the chair helps to take any pressure off the lower back and can help to bring a sense of neutrality back to the lower back, hips and pelvis. The guided breath practice is helpful for relaxing the body and restoring the nervous system to a state of ease and relaxation. To finish practice bring your lower legs up to rest on a chair, so calves are supported and the legs are bent to roughly 90 degrees with the thighs vertical and shins parallel with the floor. Put a folded blanket behind the head for more support and comfort. Visualise breathing in and out of your right nostril for 5 breaths. Then visualise breathing in and out of your left nostril for 5 breaths. Finally breathe slowly and smoothly through both nostrils for 5 breaths. Then let go of the guided breathwork and allow the body to rest fully for 3-5 minutes before ending your practice. One of the first things I ask my private clients is about the quantity and quality of their sleep. In my years of teaching and asking this question I would estimate that less than 10% of my students feel that their sleep is either adequate or restful. Some complain of having difficulty getting to sleep, whilst others find themselves waking up too early or in the middle of the night. Lifestyle factors and busy schedules mean that for many of us sleep is no longer a priority and gets squeezed out to make time for other things. 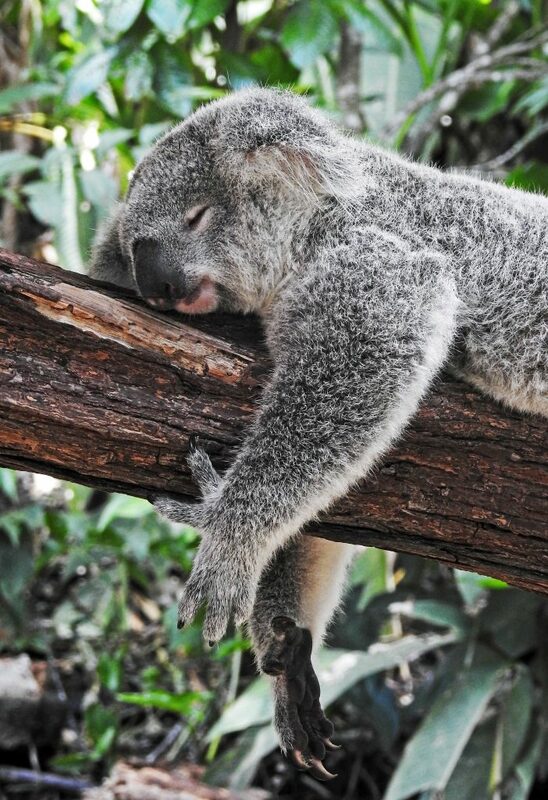 We now know however, the huge toll a lack of sleep has on our physical and mental health. Poor sleep hygiene has been linked to a greater risk of many chronic diseases such as diabetes and obesity, as well as an increase in mental health issues, such as anxiety and depression. Knowing the implications of poor sleep habits is important but it can also make us feel further stressed and anxious about the fact that we are not getting enough sleep, which in turn makes it harder to fall asleep in the first place – a vicious cycle! What I love about yoga is its pragmatic outlook and that it offers us so many wonderful, practical and realistic tools and techniques for managing our health. Scientific research has shown that yoga can have a beneficial impact on our ability to not only fall asleep more easily, but also to improve the quality of the rest that we do get. This might be explained by the fact that yoga is a wonderful way to help us down-regulate our stress reactions and ‘turn on’ the ‘relaxation response’. The poses are also wonderful for reducing physical tension and tightness, which in turn can make it quicker and easier for us to drop into a state of deep rest. Thanks to Tummee for the graphics! This is a fantastic technique for soothing stress and switching on the parasympathetic nervous system – the branch of our nervous system that regulates rest and relaxation. The key to this technique (and to all breathwork practices) is to be comfortable and in a position that supports a natural length to the spine and open-ness around the ribcage. You may like to practice sitting cross-legged or in a chair, whichever is more comfortable for you. Start by closing your eyes and establishing a natural and even breath through the nose, aiming for around 4-5 seconds breathing in and out. Now using your right hand place the middle and index finger to rest between the eyebrows. Inhale, and as you start to exhale, close the right nostril with your thumb and breathe out through the left nostril. Inhale through the left nostril, and as you start to exhale close the left nostril with your ring finger and breathe out through the right nostril. Continue in this way, breathing in through one side, exhaling through the opposite side for 2-5 minutes. The breath should feel natural, effortless and without strain – adjust the length and pace of the breaths accordingly. This is a lovely technique for soothing tired eyes or feelings of strain or tension around the sockets of the eyes. After practicing a few rounds of Alternate Nostril Breathing, release your hands and rub them vigorously together for 20 seconds until they feel warm. Place your warm hands over your closed eyes and allow the heat to soak in through the skin and muscles around the eye sockets. Repeat 3 times in total. A lovely pose to free up tension in the lower back and hips, and its gentle cocooned shape promotes a sense of safety, quietness and rest. You can use a yoga bolster or a couple of pillows/cushions stacked up to a comfortable height. From hands and knees position, bring your big toes to touch and widen your knees to outer hip-width apart. Sinking your hips towards your heels, lay your upper body over the bolster or support. Turn your head one way and allow your arms to come to rest around the sides of the bolster. Allow your breath to deepen and feel it move into your lower back, side ribs and belly. Hold the pose for a total of 2-5 minutes, switching the turning of the head half-way through. We have a lot of latent energy stored in the strong muscles at the front of our thighs and hips and these areas can get very tight from long periods of sitting – stretching this area out can help to free up tension here, as well as gently open up the chest and ribcage making it easier to take slow, deep restorative breaths. Come into kneeling, taking the feet a little wider than the hips so that you are sitting between your feet. Your toes should point straight back. If this is too much for the ankles or knees, explore putting a blanket or two under your hips. Come to lie yourself back over a stack of folded blankets, a yoga bolster or a pile of cushions. You should feel a pleasant stretch and sense of opening across the front of the body. If this position feels too strong in knees, ankles or your lower back, then explore the next pose instead. Remain here for 2-5 minutes. This is a good alternative to the previous pose particularly if you have sensitive knees or lower back. Gently helps to open up tightness in the chest, shoulders and inner thighs – all sources of unconscious tension from long periods of sitting or stress. Sit your hips up against the edge of a yoga bolster or pile of cushions/blankets. Lie back over the support. Put some extra height behind your head to ensure that the forehead is slightly higher than the chin – this will make the pose more restful and relaxing. Bring the soles of your feet together and allow the knees to open out with gravity. Allow the arms to come to rest by your sides with the palms facing up. Remain here for 2-5 minutes. Twists are inherently balancing for the left/right sides of the body and provide a lovely ‘squeeze and soak’ effect for the spine and abdominal organs. Lying on your back, allow your knees to drop to the right as you allow the belly and upper body to twist to the left. Stretch the arms out to allow an opening in the chest. Explore bringing your knees up higher or further away from the chest to find the position that feels most comfortable for your lower back. Consider putting cushioning under the bottom knee or between the thighs if more comfortable. Hold for 1-2 minutes and then switch sides. This is a fantastic pose for relieving lower back and hip stiffness and tension from sitting for long periods. The support of the wall and floor also makes this a supportive and safe option for people with lower back issues. Extend both legs up against the wall, with your hips about 10-15cm away from the wall. Bring your right ankle over the top of your left knee and slowly slide the left foot down the wall until you start to feel a stretch in your outer right hip. Make sure your lower back stays on the floor, so only go as far into the stretch whilst maintaining this alignment. If you want more stretch, shift your hips nearer to the wall. It may also be required to put a blanket or two behind the head to ensure that the forehead is slightly higher than the chin. Relax the arms and shoulders in whatever position feels restful to you. Hold for 1-2 minutes and then switch sides. Another great wall yoga pose for helping to relieve tired legs, as well as gently opening up the back of the body without placing undue strain or tension on the lower back. Gentle inversions such as this one, with the legs above the heart, have a quietening, soothing effect on the nervous system, helping to promote a sense of deep rest and relaxation.